Have you found an online vendor selling Plantation Panama 2004? I like this rum neat and maybe even on the warm side. It is 43% if I remember correctly and for some reason it sits just right on a chilly, drizzly day. There is a bit of a burn to it but the creme brulee sweetness is really reserved but pronounced. It does a nice job of distinguishing itself from some of the others in the collection. Maybe not as tasty for my money as the 2001, 2002 Barbados or the 2004 St. Lucia but it is a pleasant find. Ο τίτλος αν και κλεμμένος, τα λέει όλα .... Άλλο ένα Plantation μπαίνει στα αγαπημένα μου. Σε μία βραδιά που έκανα δοκιμές μόνο Plantation rums ..... μιας και βρέθηκαν μπροστά μου. Yet another fine rum from plantation. Buttercaramel and vanilla taste, vanillafudge for the nose. Panama rums are a favorite for me. Just a Plantation drink nothing more go ahead for the best of this brand XO 20ts Anniversaray which is really good! Is a interesting rum, a lot of fruits, great aroma, a little bit to sweet for me. 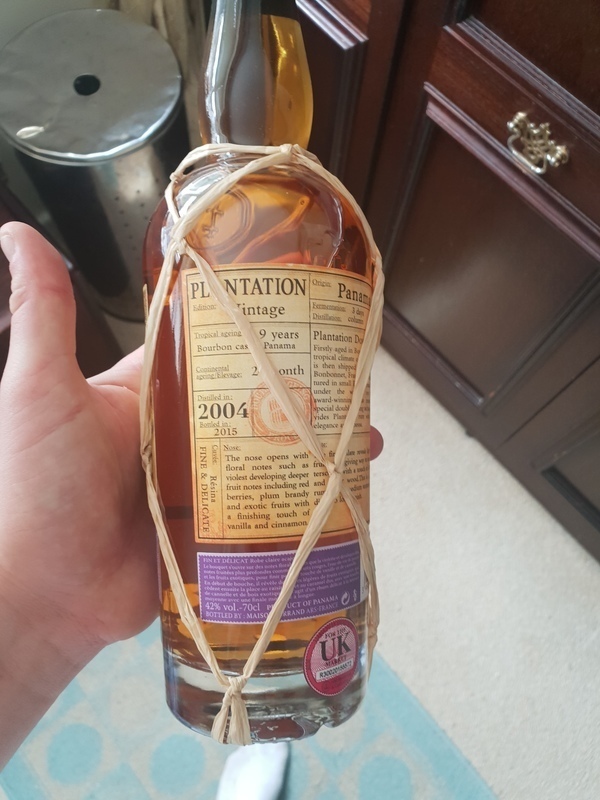 Purchased a bottle on www.masterofmalt.com for £40 Had tried others from the plantation range: the pineapple, the 5 year old and the XO 20th anniversary which I have reviewed previously. This is a good sipping rum but would work equally well in cocktails. Nose is reminiscent of the carribean with exotic fruit, oaky cognac and a touch of vanilla and cinnamon. On the palate there is brandy, and dried fruit possibly prune maybe raisin, a subtle touch of sweet pineapple comes through. několikáty rum od řady plantation a zatím mě žádná nezklamala. nedosahuje kvality XO 20th anniversary, ale stojí za to. a cena je také přijatelnější. I had the chance to test both the Plantation Panama 2002 and 2004 back-to-back and what a surprisingly big difference between these two rums. Both Plantation Panama rums have a sweet flavor on the nose, and the Panama 2004 is much more sweeter than the Panama 2002. Both exhibit very nice vanilla flavors and a hint of banana and no burn at the end at all. Both rums are very nice, but the Panama 2002 scores a 7, whereas the Panama 2004 is much sweeter and has a better flavor profile scoring a strong 8. I like it. It smells really smokey and spicy, also some exotic fruit. En god rum med en liten sötma caramel och endel fat. Not good aroma....nothing special about taste...not nice value for price. One of worst Plantation I tried. Smells sweet, soft and mild with notes of vanilla, caramel ("Werthers Echte") and peaches. There appears to be a whiff of sulphur as well. Watery, thin and sweet, but also alcohol and spicy aromas (white pepper). Honestly I do not taste much more than caramel and oak. Nevertheless quite tasty. Medium long, sweet and spicy. I´m disappointed. I suppose better rum from Plantation. This is not very bad but it´s not interesting rum. Have no significant taste. Shrnutí: Ochutnal jsem díky českolipskému podniku Kavárna/bar Kocour, kde jsem zakoupil 60 ml vzorky pro další společnou degustaci v Hořicích u josého. Zároveň jsme tento rum srovnávali přímo i s verzí Panama 2002. Verze 2004 je ve vůni svěžejší, 2002 je těžší a dřevitější, ale i výraznější. V chuti byly rozdíly jen malé, 2004 je jemnější a lehčí, 2002 těžší a cedrovější, což se mi líbilo ještě o trochu víc. Oba však velmi dobré. Oaky nose with spicy notes. In mouth, this rum is sweet with caramel, fruit and raisins ice cream. Long aftertaste. Good one. 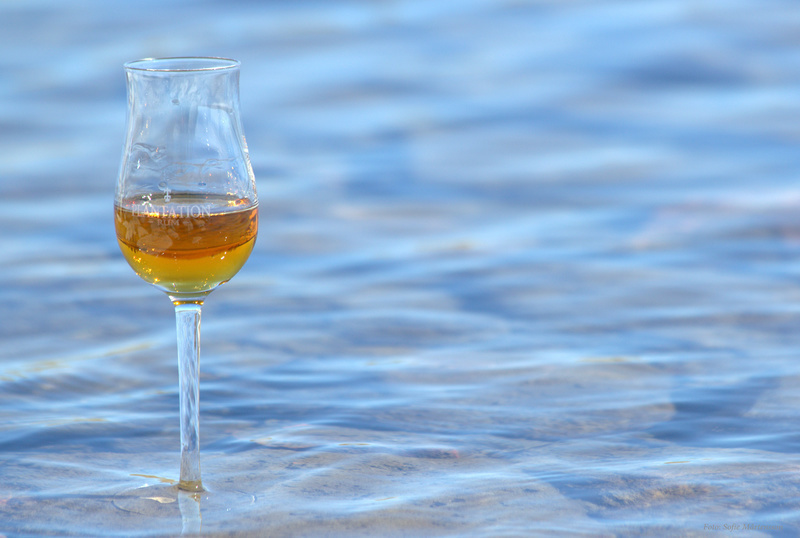 Bon rhum pour le prix. Ce bois bien sur glace ou avec un peu de perrier.